There are two types of mockingbirds in North America and the most common among the two is the Northern Mockingbird. 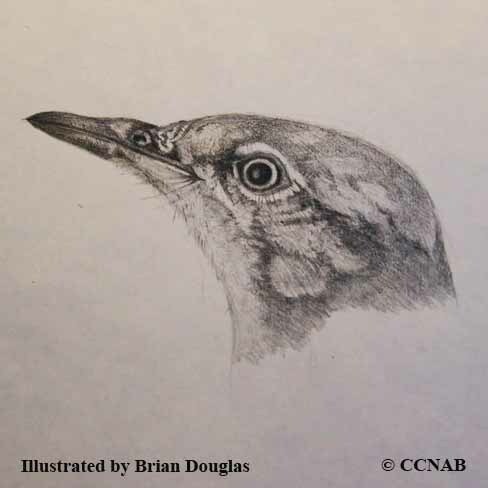 This bird is slowly moving farther north each year and is showing up in areas of southern Canada. They remain there throughout the seasons. The other mockingbird is the Bahama Mockingbird and is a much more secretive bird that prefers to be farther away from people. The mockingbirds are in the same family as the thrashers and pretty much live in the same habitat. They prefer to find shelter and food in tangled undergrowths, bushy areas and mainly feed on the ground. These birds are marvelous singers and are able to mimic the songs of other birds as well as sounds surrounding them, to the point where they will fool the listener into believing they are hearing the actual sound makers.